Hajee Osman Sait.Pic Courtesy: Mr. Masood Ali, Wood Decor. I was standing outside the swank automobile showrooms in India Garage the other day, watching excited owners roll out onto St Marks Road in their ribbon wrapped cars. Many of them swung into the petrol bunk here, to fill up their first full tank. Ironically, the petrol bunk outside this graceful building was where around 1920, Hajee Osman Sait, an eminent Cutchi Memon businessman, is believed to have struck a match and deliberately set fire to all the imported goods sold in the Cash Bazaar as it was called back then. This brazen act of arson must have seemed incomprehensible to gentile customers in the Cantonment. Setting fire to goods was something a flourishing trader just did not do.The Cash Bazaar opposite Bowring Institute (est.1868) was where they bought everything from pins and provisions to ‘English vegetables’, fruits and flowers. The popular shopping arcade was also a family legacy. It had been built by his grandfather Yousuf Pir Mohammed who had moved to Bangalore from Kutch. He built this stately structure and gave each of his seven sons ‘three doors’ from where they managed their business. The building, therefore, had 21 doors in total that opened onto a wide verandah with cast iron grills.You can still count them. But while the Cantonment speculated about this astonishing incident, the Non-cooperation Movement (1920) led by Gandhiji escalated into public meetings and protests across the country. Amongst other things, it also advocated a boycott of British goods. This civil disobedience ran in parallel with the pan-Islamic Khilafat movement (1919-1924) whose leaders, including the brothers Maulana Mohammad and Shaukat Ali, were allied with the Indian National Congress at that time. 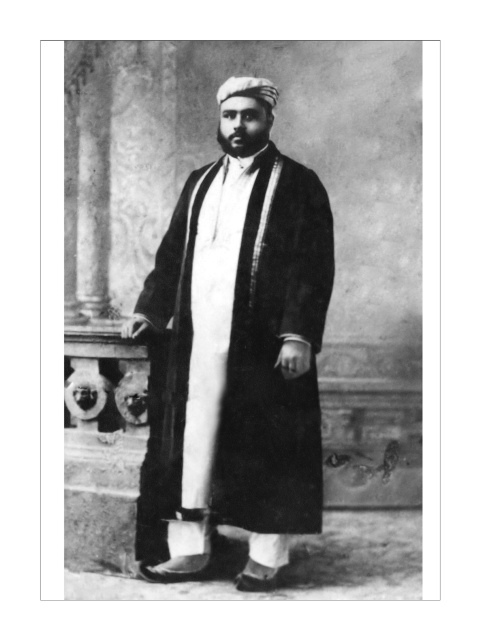 Wood Decor proprietor Mr.Masood Ali says his grandfather Hajee Osman Sait, President, Madras and Bangalore Khilafat Committee, was deeply inspired by India’s freedom struggle. He played host to Gandhiji, Pandit Nehru and the Ali brothers at his home on St Mark’s Road (around present day Hotel Nandhini). He sold his property, donated money and family stories say he even publicly auctioned off his eldest son Ebrahim, to raise funds. Ebrahim was taken by a friend, returned respectfully and the money, donated to the cause. He opened an Indian National School (1921) on his property Stafford House (near Bishop Cottons Girls School, St.Mark’s Road) and sent his children to local schools. The Cash Bazaar bonfire was yet another contribution to the movement. Masood Ali says he was an unbelievably wealthy man who owned over 20 acres in the St.Mark’s Road area, “including several large bungalows of which four were named after his sons — Yakhoob, Ebrahim, Khader and Yousuf Villas”. Four white horses drew his famous buggy. They were housed on Residency Road before the Imperial Talkies was built and then moved to stables behind the Cash Bazaar which had also been occupied by Sir Mark Cubbon’s horses (when living at the Residency on Residency Road) and were later used by the Bangalore Riders Club (1934). Cash Bazaar was also where you went to pick up hackney carriages. Later on, Addison & Co. sold bicycles, cars (Peugeots and Buicks among them) and motorcycles next door. Evidently India Garage’s history of selling hot wheels began long before shiny automobiles arrived in India. Masood Ali’s father, Mr.Yousuf Sait was himself extremely well known in the film distribution business. 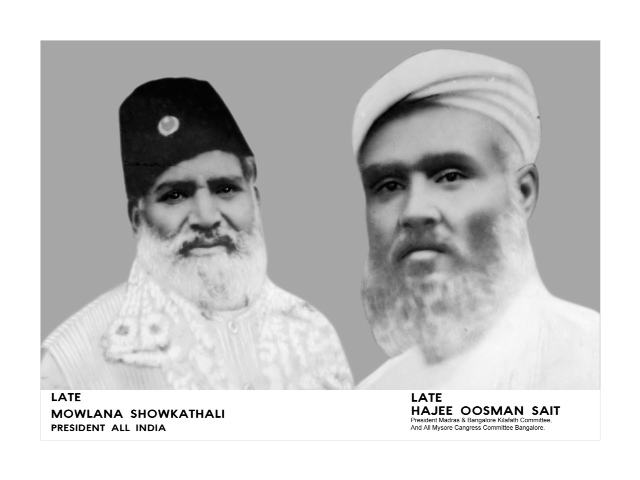 Haji Osman Sait’s dedication to India’s freedom movement gave him the name `Khilafatwale’. It also cost him dearly. Masood Ali says he passed away in 1928, debt-ridden in a rented home around the age of fifty-six. He describes the funeral procession as being over 5 kms long and says it is said to have extended from the Jumma Masjid off Commercial Street to the Quddus Saheb Burial Grounds on Jayamahal Palace Road. India Garage was subsequently sold in an auction in the 1930s. Sometime later, it became the first showroom of the pioneering VST Group founded by V S Thiruvengadaswamy Mudaliar in 1911.The building retains the original structure and some trees that Hajee Osman Sait planted. But its doors now open out onto an independent, liberalised India whose shop shelves are once again stocked with foreign goods and labels. This story was originally published in the Bangalore Mirror on May 12th 2014. Read it here. This story is a part of our project `Bengaluru-A Remembered City’ that seek to map the changing city through the narratives of its people.We thank Mr. Masood Ali for his time and his stories. When will Bengaluru realise that knocking down buildings takes with it a wealth of city history and memories of its people? When everything is gone, perhaps. How much have they cared about history anyway? The sad part is that it just replaces buildings of the wealthy with more unaffordable places. Not like we are going egalitarian.